LONDON (Reuters Breakingviews) - Melrose Industries’ magic touch is missing from its latest deal. The UK engineer, which swallowed 8 billion pound rival GKN last year, boosted sales and margins without slashing investment. Still, a sluggish car industry could challenge its acquisition-driven model. LONDON (Reuters Breakingviews) - Britain’s new centrist breakaway is a long way from the country’s “Emmanuel Macron” moment. The defection of seven politicians from the left-wing Labour party on Monday invites comparisons with the political realignment that eventually propelled the French President to power. But Britain’s political system penalises small parties. The split probably strengthens Prime Minister Theresa May, and may even help her Brexit deal.  LONDON (Reuters Breakingviews) - Leveraged buyout lenders are in the firing line in 2019. With central banks raising rates and shrinking balance sheets, the happy times for the likes of Blackstone, KKR and Apollo Global Management will subside. But buyout barons will be laughing compared to those who financed their deals. Low rates and the hunt for yield in recent years triggered a boom in risky lending. The volume of leveraged loans in particular reached $1.3 trillion in the United States and Europe in 2018, versus $734 billion in 2007, according to LCD, part of S&P Global. The average U.S. leveraged buyout piled debt equivalent to almost seven times EBITDA in 2018, only marginally below the record in 2007, according to Refinitiv data. The fuel powering bigger and riskier deals should now dissipate. Helped by the downgrading of General Electric, BBB-rated debt is at record levels. Now that investors can earn yields of nearly 5 percent from companies deemed investment grade, junk-fuelled buyouts will get harder. Yet dealmakers have less to fear than in 2007. Assuming 2019 is a slowdown rather than a 2008-style financial crash, companies are less likely to suddenly run out of cash. That will keep defaults far lower than the 13 percent they reached in 2009. And it may help that collateralised loan obligations (CLOs), a kind of securitised investment vehicle that buys loans, account for half of the market now. These vehicles create a stable demand for credit, reducing scope for fire sales. Creditors face a much trickier time. Senior lenders who provide the bulk of the funding are in particular more at risk than in the last cycle, because they now provide a bigger share of the credit. With U.S. deals’ senior debt on average 5.2 times EBITDA, according to Refinitiv, versus 4.4 times in 2007, those at the top of the capital structure will absorb more losses if companies implode. But creditors also have less control. In previous cycles, a company in danger of failing a so-called maintenance covenant would need to keep lenders on side, and pay them extra fees. Now, most deals are “cov-lite”. Debt documents give companies more freedom to take risks or siphon off assets, even when they are struggling. Private equity-held companies can also sell assets without repaying debt and pay themselves dividends. They can even move assets out of creditors reach, and use them to borrow more. That’s what happened with TPG Capital and Leonard Green’s acquisition of retailer J.Crew. The upshot is that there will be fewer defaults, but losses will be much higher than the roughly 20 percent that senior lenders are used to. Unpredictable recoveries mean that loans will be harder to value, and vulture funds will pay lower prices for distressed debt. There’s also still a way for both dealmakers and funders to get hosed. A sudden spate of low recoveries could spook the market and cause prices to collapse. Investors in CLOs, particularly those in the lower-ranking tranches, could lose their income and take severe losses, freezing new securitisations and funding for new deals. But of the two, lenders have far more to fear. LONDON (Reuters Breakingviews) - Card players can bluff by raising the stakes to induce their opponents to fold. The European Commission played a similar hand on Thursday when it released plans to manage the fallout if the UK can’t agree a Brexit deal with the EU. The proposal looks unrealistic, but it still gives the bloc negotiating leverage and could damage London. NEW YORK/LONDON (Reuters Breakingviews) - Few people would have disagreed at the beginning of the year that the nine-year-long bull market was reaching its end phase. That didn’t diminish the shock when it actually happened. Here is Breakingviews’ imagined account of how the good times came to an end in 2019. LONDON (Reuters Breakingviews) - The euro zone’s latest reform drive leaves its crisis fault lines intact. After all-night talks, the single currency’s finance ministers on Tuesday morning agreed to make sovereign bailouts smoother and share the cost of winding down banks. Yet deep opposition to sharing debt burdens means the region remains ill-prepared for economic shocks. LONDON (Reuters Breakingviews) - Italy’s latest bond fix idea resembles a covert bailout. The economic spokesman of the ruling League Party, Claudio Borghi, says the euro will collapse unless the European Central Bank limits the gap between euro zone countries’ bond yields, and has suggested 150 basis points as a reasonable maximum. The proposal risks giving big spenders free rein to dodge hard budget decisions. LONDON (Reuters Breakingviews) - Italy’s deadly bridge disaster will shape the country’s infrastructure fix for better or worse. Shares in toll-road operator Atlantia have fallen as much as 30 percent since the Genoa viaduct collapsed on Tuesday. The tragedy reinforces the case for more investment. But the costs will depend on the government’s treatment of Benetton family-controlled group. LONDON (Reuters Breakingviews) - Britain has joined the security party. The UK government on Tuesday outlined how it proposes to screen foreign investment in domestic companies to better fend off security threats. While most of the proposed changes seem reasonable, they increase scope for political meddling.